Why Should You Give Your Child a Multiple Intelligence Test? Why Bad at Math Yet Good at Sports is Not Necessarily a Bad Thing? "I have got a score of 147. What does it mean?" You can find a lot of visitors asking these questions on this website. These questions entail mythical romance with the IQ scores which can declare someone genius and others stupid. A lot of excitement comes from the different declarations by the psychologists regarding IQ levels of highly gifted people on the face of the earth and their IQ scores. This romance shatters when you hear that you can't understand the intelligence in unity. It involves a lot of diversity. It has a lot of angles. No single definitions of intelligence can define it adequately. These statements are entirely visible in our daily lives. You can find a highly talented musician, but he may be unable to understand simple mathematical operations. Any of your mathematical IQ tests shall put him in the lowest category as far as IQ scores go. However, his talents in music can change the world around. The IQ tests around generally focus on the academic type of intelligence that you require to qualify for an admission to a school. They may also target candidates for particular jobs. However, none of them can work out your intelligence entirely. The complex nature of the subject led Howard Gardner, a Harvard Professor, to break away from the conventional concept of intelligence by announcing more than seven types of intelligence. He announced that the the intelligence is much more than your performance in your classroom settings or while encountering any psychological test. In his 1983 groundbreaking book “Frames of Mind,” Gardner introduced these types of intelligence as logical-mathematical, linguistic, spatial, musical, bodily-kin-aesthetic, interpersonal, and interpersonal intelligence. This diversity in the concept helped the psychology to break away from a straight jacket concept of intelligence and IQ scores. 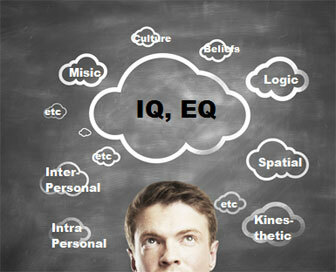 Now there are various psychological tools around following Multiple Intelligence Theory (MIT) paradigm. Gardener’s concepts have changed a lot. The traditional math and verbal intelligence remain a measure of smarts, but it has been expanded to include skills and aptitudes in areas many parents tend to downplay as mere hobby or interest. Letting your child take a Multiple Intelligence Test, therefore, will help ensure that you get to play to your child’s strengths, and you get to adapt the learning style that would fit your child the most. It will also give you a more optimistic view of your kids’ performance! With results from a Multiple Intelligence Test, parents will not have to feel frustrated if their child struggles with other areas of intelligence, for it’s highly possible that their giftedness lies elsewhere. Consider spatial intelligence: the ability to conjure up mental images, and play with that picture in your mind. With spatial intelligence considered as aptitude, a child who can visualize the solution to a Rubik’s cube puzzle, without even having actually to hold the toy, is intelligent. These children may tend to do poorly in language classes, such as reading comprehension because the tendency for teachers is to deliver these subjects using mostly text and verbal descriptions. But if a spatially intelligent child is allowed to imagine the settings and characters of the story freely, and manipulate images in his or her head as the narrative progresses, then the child may excel in the languages as well. For this reason, it is essential for school teachers and personnel to be appraised of the results of a child’s Multiple Intelligence Test. Consider this as well: the ability to play an instrument, or understand chords, pitch, and arrangement in a song makes a person intelligent because musical intelligence is considered as smarts. A musically smart child will learn better if most of his lessons are set to a tune. If a child tends to excel in sports, e.g., he or she has always had good hand-eye coordination or stamina, the child is intelligent in a bodily-kin-aesthetic way. Perhaps the best way for them to learn is through exercises that involve dance, motor activities and physical sensations. Don’t you want to know what areas of Gardner’s seven types of Intelligence your child is best at? Wouldn’t you like to be able to find out your child’s most predominant learning style, so that you as a parent can give your child the guidance that he or she deserves? Wouldn’t it be great if your child develops a high self-esteem out of knowing that he or she is talented in an area experts consider as intelligence? If the answer to these questions is yes then you need to focus on the theory of the multiple intelligence.